Hollywood Studios is still in the midst of a major remodel. With many classic attractions being retired, park expansions like Toy Story Land (already open) and Star Wars Galaxy’s Edge are breathing new life into the park. With all the changes that have come to Hollywood Studios I’m sure some parents are left wondering if there is anything left for their young kids to do. 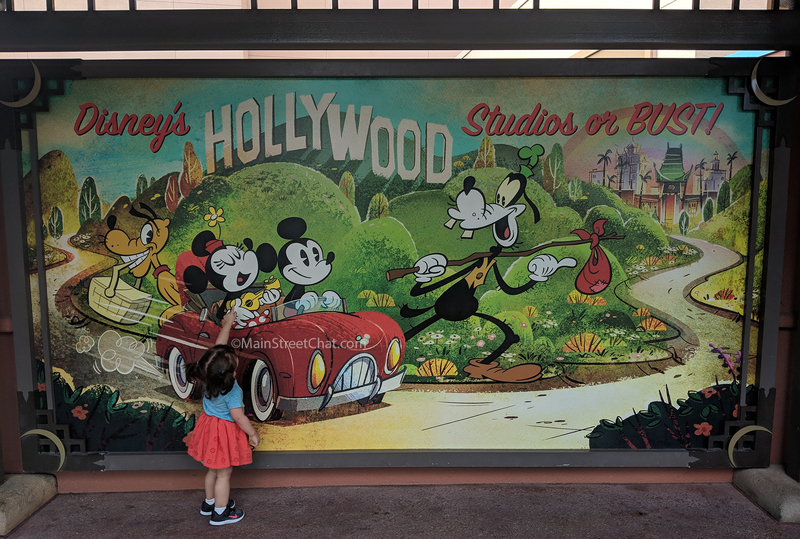 In this article we are mostly going to address what to do with Toddlers and Pre-schoolers as they may have a harder time at Hollywood Studios. To put it quiet bluntly, they get the short end of the stick with the majority of the rides having height restrictions. Should you spend a whole day at Hollywood Studios? We do not recommend planning a whole day at Hollywood Studios. This is a great time to take the morning off, enjoy the pool or just kick back with some movies. We’ve noticed with Kaitlyn if we try to push it everyday, we will end up with a major toddler melt down on the third or fourth day. To avoid this we will get late starts on some days or cut a day short so she can have a longer break physically and mentally. What time of the day should I go to Hollywood Studios? The Holiday season is soon going to be in full swing soon at Hollywood studios. We recommend going into the park at night so you can really take in all the spectacular Christmas decorations. Sunset Blvd will come to life and show some truly magical displays on the Hollywood Tower of Terror. Take the time to take your toddler to meet Santa at Hollywood Studios. Santa will be waiting to meet your child between 11am to 11pm from November 8th to December 24th. The Jolly old man himself can be found at Once Upon A Time shop on Sunset Blvd. Minnie’s Holiday Dine at Hollywood in Vine- this is an extra cost dining event at Hollywood and Vine buffet to see the Characters in their Holiday Best. We recommend a “divide and conquer” technique to get the most out of your day at Hollywood Studios. The majority of parents with toddlers are going to need to utilize parent swap in order to experience the majority of the rides. This includes Star Tours, Slinky Dog Dash, Aerosmiths Rockin’ Rollercoaster and Hollywood Tower of Terror. The before mentioned rides do have height restrictions that the average toddler will not meet. In order to make sure that everyone gets the most of their day we recommend that while one parent is on the ride. Another is taking the kids to see one of the many shows at Hollywood Studios. All of the shows do have times set for them so make sure to Check on the MyDisneyExperience App before deciding where to go first. 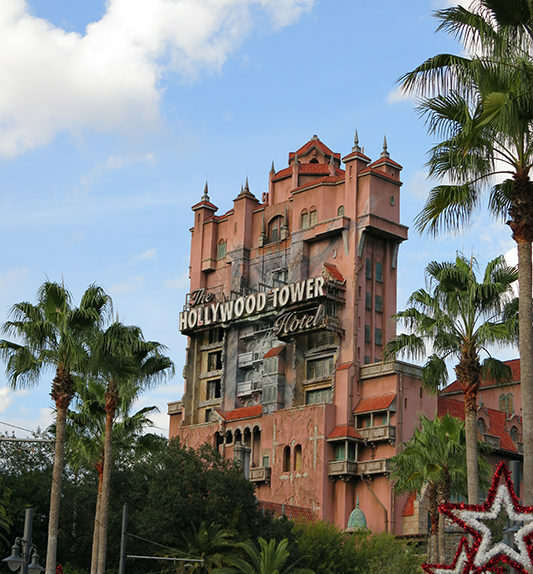 What rides can my Toddler/ Preschooler go on at Hollywood Studios? This is going to be a very short list. Alien Swirling Saucers – 32 inch height requirement. Kaitlyn was able to go on this attraction as a One and a half year old. She is taller than average for her age. Toy Story Mania – No height requirement but children do need to be able to leave on 3D glasses and sit on someone’s lap. We watched the shows…now what? Sometimes you will finish watching all of the shows before your parent swap times are available. Fear not!! Hollywood Studios has some great shopping and you can go through the shops with your kids and easily spend an hour. Maybe this would be a good time to let them pick out a souvenir but make sure that they look at all the stores and it’s something they reallllllyyyyyyyy want. If that’s a bust there are lots of great snack options for the kiddos around the park. 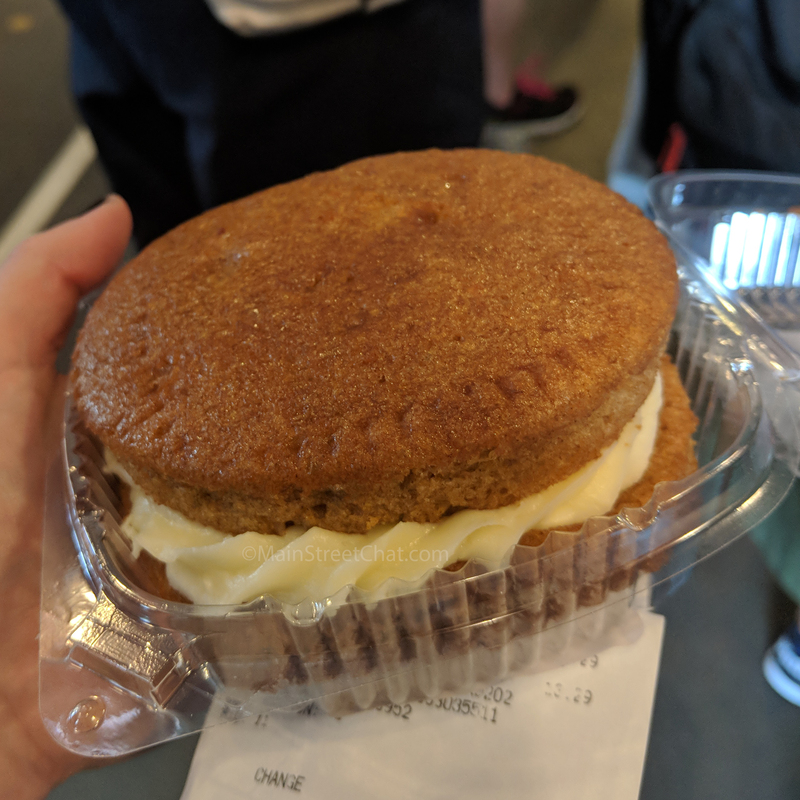 Our personal favorite is the carrot cake woopie pie available at the Starbucks. Another raved about dessert is the PBJ Milkshake at 50s Prime Time Café, you can get it to go at the lounge. We recommend also considering a meal at Sci-Fi Dine In if your little ones aren’t afraid of the dark. Drive in movie theaters are quickly disappearing so this is a super fun experience to have with your kiddos.